I'm finally getting serious about book-keeping my collection of original artwork. This is a piece I bought at Comic-Con International about 10 years ago. 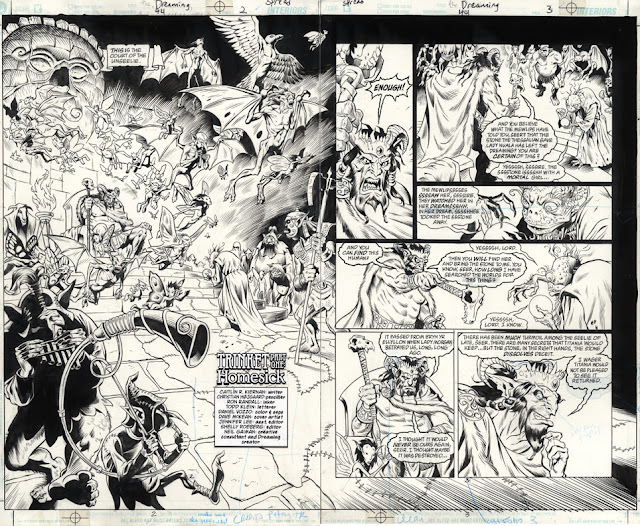 It's a double page spread from DC's "The Dreaming" series (issue 44), purchased on Artist's Alley directly from the artist, Christian Hojgaard (or the inker, Ron Randall, I forget which. I purchased another page from the same issue which I will post when I scan it.